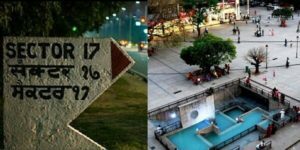 From one roundabout to another, one can leisurely drive around Chandigarh to enjoy a Punjabi culture that thrives in the modern spaces of The City Beautiful. As soon as travellers touch the border of the city of Chandigarh, a board reading “welcome to the city beautiful” greets them. Those who have never been to the city might wonder why, but in no time the picture becomes clear. Rows and rows of trees on broad, clean and barely crowded roads now make for the view- one that is in stark contrast to that of the cluttered and not so green view of the adjoining cities. Setting foot in Chandigarh, the capital city of the states of Punjab and Haryana, brings about a wave of freshness, which can not only be sensed in its physical environs but also in the atmosphere around. Chandigarh is a young city and it is so, in more ways than one. It is India’s first planned city, designed by French architect Le Corbusier. The city’s modern manners are also reflected in the vibe of the place and its happy-go-lucky people. A holiday here can bring out a different side of India. While it is modern in many ways, it is also traditional and artistic to say the least. Not the usual ones with walking areas and do-not-walk-on-the -grass areas, gardens in The City Beautiful are about creativity, sustainability and even recycling. Rock Garden, a one of its kind park in the country is known for more than 2000 sculptures exhibited in it. 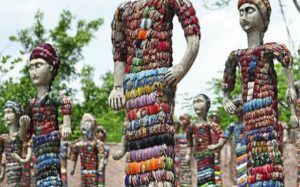 Made using stones, debris and other discarded junk gathered from the 50-odd villages that were dismantled to construct the city, the garden is a symbolism of art and history. On the other hand, rose garden, actually the Zakir Hussain Rose Garden is known for its variety of roses spread over a vast area. The city boasts of having the biggest rose garden in Asia. The garden also hosts the annual Rose Festival, displaying around 830 varieties of the flower. There is nothing quite like a stroll beside a lake, and when there is one in the middle of a city, all hail pleasure. Sukhna lake in Chandigarh is a man-made lake and part of Le Corbusier’s urban master plan for the city. At the end of the lake, the Garden of Silence or the Buddha garden is a huge open space to unwind. “Tourists can also visit the Japanese Garden, Terraced Garden, and Garden of Fragrance,” suggests Sugandhi Chauhan, a fashion merchandiser from Chandigarh. 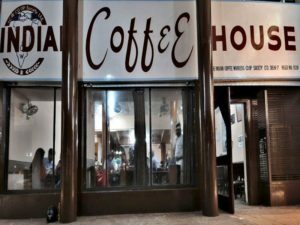 Although one can find some global fast food chains in Chandigarh, eating at the local restaurants can give one a dash of traditional flavours. “Sector- 8, sector 34, and sector 17 are some places one can visit, to try some good food at local cafes. 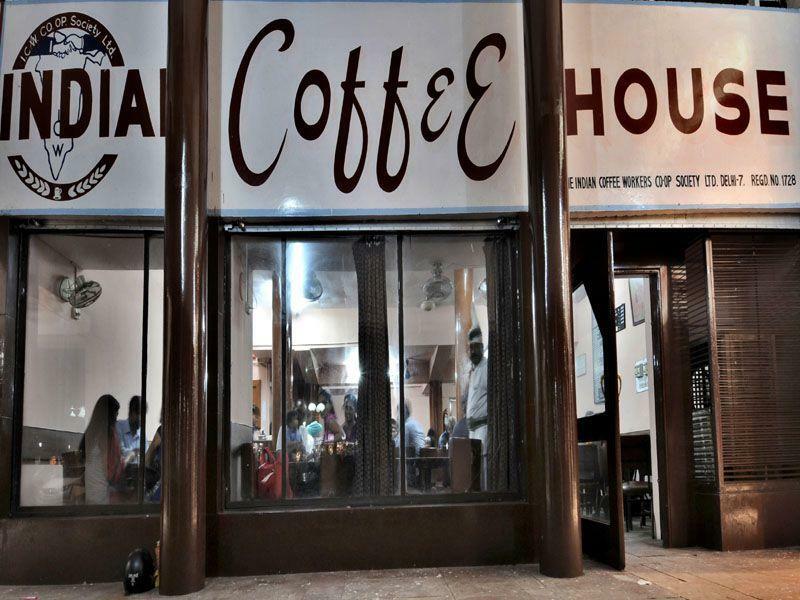 Softy corner, Pick N Move, Hot Millions, Goldie’s Roost, Gopal’s, Indian Coffee House are some of the old names in town and pretty popular ones,” says Chauhan. “For shopping head to sector 17, sector 22 or sector 19 according to your choice and budget,” suggests Chauhan. While sector 17 market, the biggest shopping complex in the city, boasts of some international apparel outlets other than the local vendors, sector 22 and sector 19 offer a classic street shopping experience. The gurudwara in sector 34 is one of the most visited gurudwara in Chandigarh. It is famous for its kada prasad (holy offering), which everyone says is the most delicious and I could not agree more,” says Chauhan. 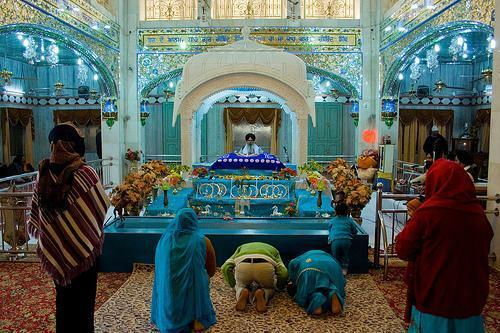 There is also a gurudwara in sector 8 to which a lot of locals pay regular visits to. The churches are in sector 18 and sector 19 and see a packed space during Christmas. Tourists can also pay a visit to the Capitol Complex that houses the High Court, Secretariat and Vidhan Sabha, shared by the states of Punjab and Haryana; catch a play at the Tagore Theatre in Sector 18; enjoy a long drive on the popular route between sector 8-9-10, also referred to as the gehri route; get a picture clicked with the Open Hand Sculpture- the city’s official emblem, signifying that the people of Chandigarh are always ‘open to give, open to receive’.